You might not think about them too often, but your roof and gutters are the only reason your home and place of work are habitable spaces. Contrary to popular belief, roofs and gutters aren’t maintenance free either. To continue to perform properly, they need maintenance to prevent leaks from occurring in the first place and to keep the building water and wind tight. If left to fend for itself, a roof will fail eventually because it isn’t impervious to the elements. Gutters (which carry water from the roof to the drain pipe) can also leak and cause damp in exterior walls. To help keep your roof and gutters in tip top shape, here’s some handy tips. We’ll start with roofs before moving onto gutters. If you have a chimney breast, this is a common entry point for water. If you can, look for pointing and flashing issues around the edge. By inspecting your roof yourself, you should be able to identify any problems. If an inspection by yourself isn’t possible (perhaps your house is too tall, you have poor eyesight, or you have to walk far away to see the roof) you should call a roofer to inspect the roof for you, unless you are happy using a ladder. If any problems are identified, these should be fixed as soon as possible. Cracked pointing can only be fixed when there’s a break in bad weather, but missing tiles can be replaced any time so long as the roofer is competent. Inspect your gutters the same time you inspect your roof. Your gutters and downspouts should be securely fastened to the roof. The gutters should extend just beyond the eaves of the roof to collect water effectively. A common issue with gutters is that over time the gutters can work their way from a fastening and sag in places. If your gutters are sagging, heavy rainfall will accelerate the problem and the gutters could fall from the roof. It’s important to get your gutters fastened back up or replaced if the components are broken. 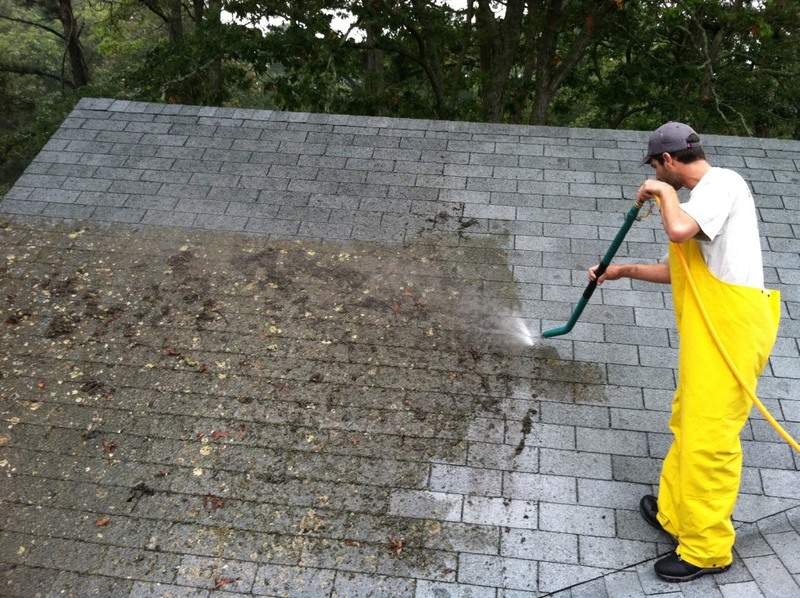 You should also have your gutters cleaned routinely. Every 12 months is recommended, so as to clear muck from the gutters. Muck accumulates in the gutters because rainwater drags every bit of dirt from the roof downwards. If you live near trees, you may also find your gutters become clogged with leaves. This is bad news for drainage because the leaves along with the muck block water from reaching the drainpipe. If you happen to experience particularly bad weather or heavy, prolonged periods of snowfall, make an additional check of your roof and gutters when you can. Heavy wind can lift slates not adequately affixed to the roof, and snow and ice can damage the mortar or cement used to point the ridges. Leadwork is extremely robust, but it can peel away from its brace in strong wind. If you experience a persistent problem with your roof such as tiles coming away or the pointing on ridges being damaged, there are now a wide range of high performance, engineered solutions available. Engineered tiles like Metrotile concrete and Tapco slate are stronger and more durable than the real thing, and epoxy resins can be used with mortar to create a more durable pointing material (it doesn’t shrink). Find out how Roundhay Roofing can help you maintain your roof by calling us on 0113894 1968. We specialise in preventative maintenance for all roof types.